Good morning! 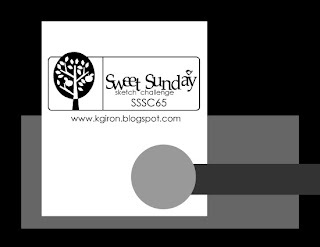 I have my card for Karen's Sweet Sunday Sketch to share with you today. Tonight (or tomorrow morning) I will have the beginnings over some Verve Release Challenges to share with you! I'm so excited for the release this weekend. But yesterday, before the madness began, I sat down to make this card. My card was heavily influenced by the fact that my cousin and her husband just had their third baby, Ezekiel James, on Thursday. They live in Texas currently while her husband attends Dallas Theological Seminary, so it will be a little while before I actually get to meet the little guy, but I'm excited none-the-less! I went shopping and got the most adorable little boy outfit to mail to them, and this card is going to accompany it. LOve the colors you chose! great job! Hi, I just came across your blog and wanted to say how much I love this card. I noticed you're reading Things I want my Daughters to know. I LOVED this book. What do you think of it?